Issued at 5:01 pm Monday, 11 February 2019. Weather Situation: Heavy and slow-moving thunderstorms are now extending further inland towards the Carnarvon Ranges. Severe thunderstorms are likely to produce damaging winds and heavy rainfall that may lead to flash flooding in the warning area over the next several hours. 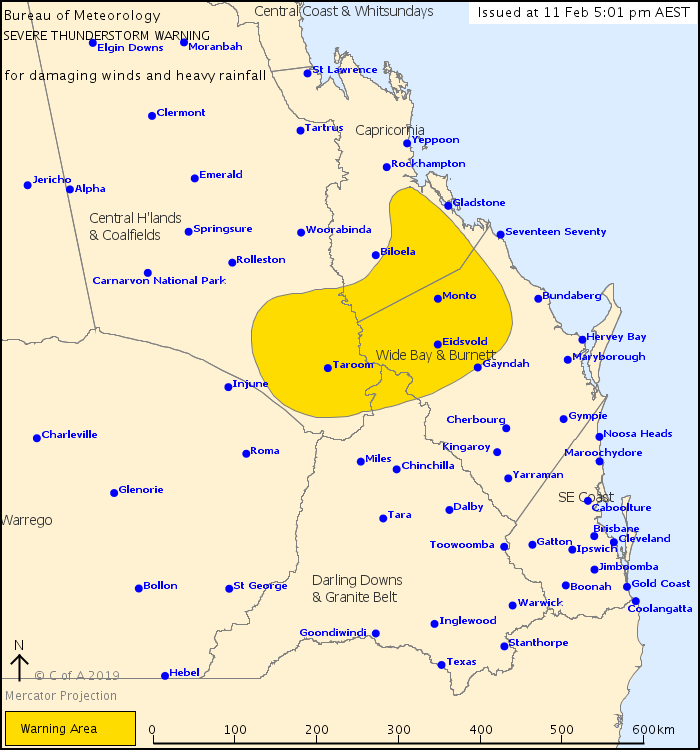 Locations which may be affected include Taroom, Monto, Theodore, Calliope, Gin Gin and Miriam Vale.